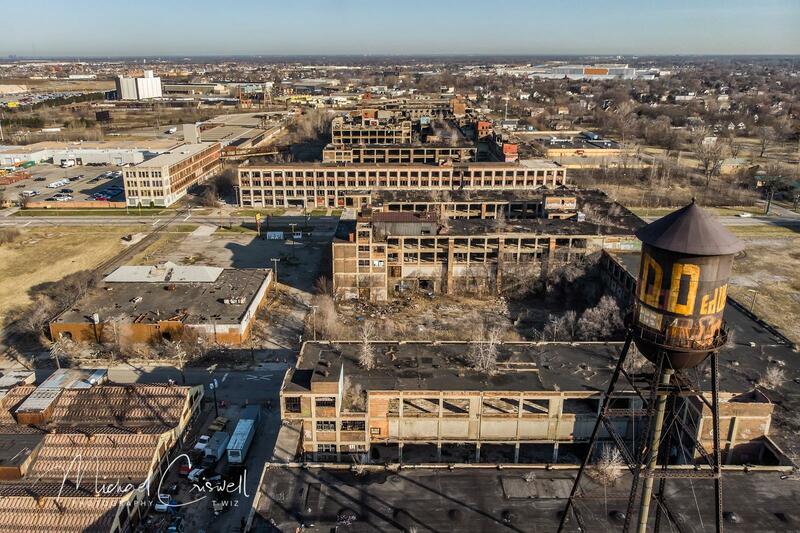 Packard Automotive ⋆ Michael Criswell Photography "Theaterwiz"
This is probably one of the most surreal places in the Detroit proper, the Packard Automotive facility. 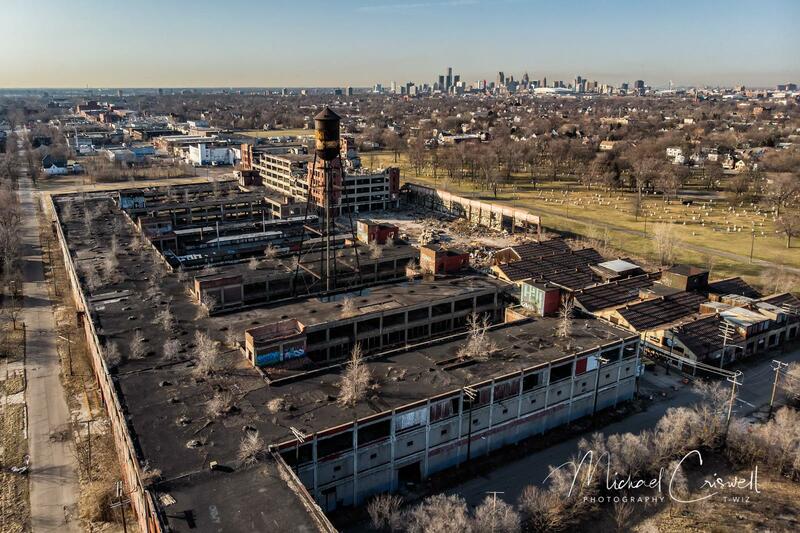 The Packard plant was ahead of it’s the time when construction started in 1903, and now the concrete skeletal remains of the 3.5 million square foot facility are the only thing that exists, in neighborhoods that reflect the sad times this city has been through. There is some good news about the facility, it appears it has been bought and a renovation project plan is in the works, hence the 24-7 security. This plant ceased operation before I was born, in 1958, hard to fathom. There were some renters after the closing, but nothing that could bring life back into 3.5 million feet of space. Our Mistake…not really a mistake, we had two cars and drove by a security car parked at the facility on our way in, we drove blocks away and parked by a business with other vehicles parked, security must have known that trick as we got out of the cars and entered the plant, after 10 minutes in we heard sirens and a PA speaker from a car…reading the cars licence plate, and to inform us they will be towed…..fun over..never got anywhere there. She was a mean security guard and did not care at all that we all were wishing her a happy Easter as she chased us off. But…she could not stop drones from flying, we drove to a cemetery nearby, flew and shot. 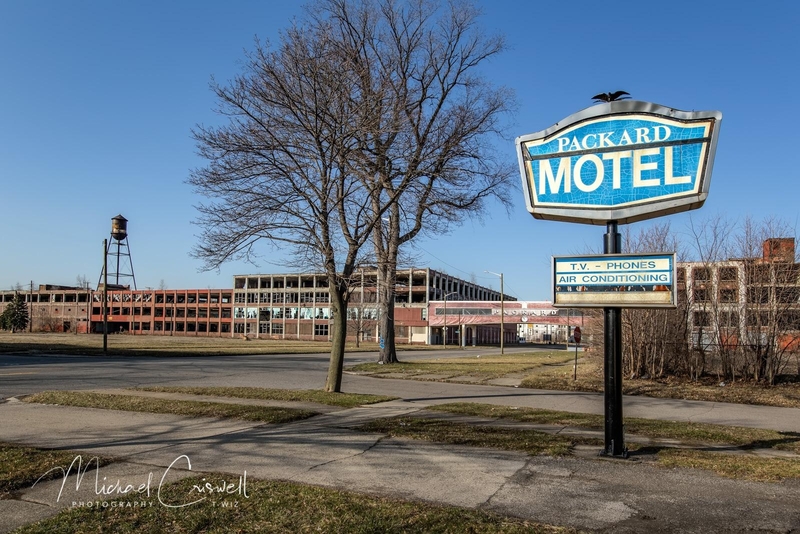 This Motel shot was a bonus, me and Bob Lussier went back to fly around the plant the day we all departed, I spotted this old Motel and well, it kinda tells the story of the blight of Detroit and sadly Packard.  This entry was posted in Detroit, Landscape and Architecture, Urban Exploration and tagged abandoned, abandoned Detroit, Detroit, Detroit Michigan, Michael Criswell Photography, Packard Automotive, Packard Detroit, Packard Plant, Theaterwiz, Theaterwiz Photography.